January: the month of taking stock in our lives and establishing new goals. It is a good thing, I think, to reflect, reevaluate, and better our lives. The problem seems to come in when we create major, lofty, and clearly unattainable goals (or “resolutions”), thinking somehow that doing it on January 1st will be the magical key to sticking with them. Wanna know a secret? There is nothing special about January 1st, and it certainly hold no magical key. Self control and planning might still be needed, even for New Year’s Resolutions! So then, how can we resolve to make healthy changes that we can keep, whether on January 1st or any other day of the year? I believe the answer to that is in being REALISTIC (and specific). And now, here are a few healthy ideas to choose from that I believe maintain reality within themselves. They involve smaller action or commitment and still yield notable benefit. 1. TAKE SUPPLEMENTS. Did you know that even if you eat a “perfect” real food diet, you will still have nutrient deficiencies?? The right kind of supplements can be a very wise investment and help you to have energy, strength, and vitality to achieve your other life goals. This week I will be talking about Why Everyone in your Family Should Take Fish Oil, and we have a giveaway running for a family pack of Nordic Naturals fish oil & supplements right now! Click on the image below to enter! Giveaway now closed. 2. DRINK HERBAL COFFEE. Hold your fire, I didn’t say stop drinking coffee. In fact, I have a blog post specifically suggesting ways to keep up your coffee habit while making it less toxic. But I also know that many of us don’t need as much coffee as we tend to drink. I have a great alternative for you that you can incorporate every now and again (or all of the time, if you are wanting to leave coffee behind completely! ): Teeccino. That is pronounced tea-chino (as in herbal tea meets cappuccino), and you’ll love it. Teeccino is essentially brewed like tea, but uses nutty and caramelized flavors to give you a caffeine free beverage that tastes great and gives you a natural energy boost. You can buy it discounted at Thrive Market, in most health food stores, or on Amazon. 4. PUT YOUR FEET UP. Try choosing one day a week to find some time to elevate your feet and chill. Kicking your feet up for a spell can actually improve digestion and sleep as well as relieve headaches, menstrual cramps, varicose veins, and sore ankles, for starters. When the feet go up, blood flow starts getting sent to the core. This signals a change from a stressed sympathetic nervous system state to a repairative parasympathetic one. 5. TRY RAW MILK. In a nutshell, raw milk can often be tolerated by those who have sensitivities to pasteurized dairy, has been found to ease allergies, eczema, and asthma, and doesn’t need synthetic vitamins added in as its nutrition has not been destroyed or discarded by processing. Plus, it tastes REALLY good. 6. USE NON-TOXIC CLEANING PRODUCTS. The cleaners that we use in our home impact our health in bigger ways than we might realize! I talk about some of the hazards of conventional chemical cleaners & give some simple homemade recipes HERE, and give tips for things to look for in store-bought “green” cleaning products HERE. 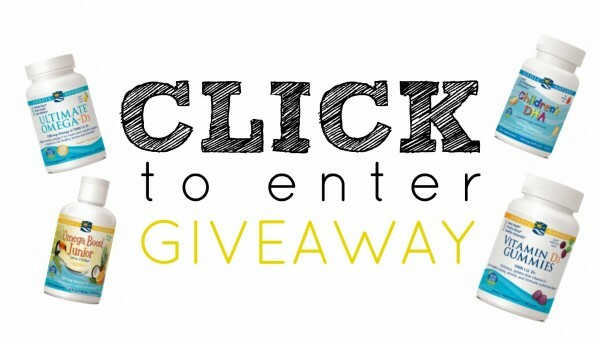 And there is more… you can enter our current giveaway for GrabGreen cleaning products by clicking the image below! Giveaway now closed. 7. CUT OUT ANTIBACTERIAL SOAP. The pesticide Triclosan is an active ingredient in most antibacterial soaps on the market. The naked truth is that when used for 15-20 seconds, soaps without it can be just as effective at removing hand germs, and they come with far less potentially hazardous side effects. We like to use Dr. Bronner’s liquid castille soap (buy on Amazon or discounted at Thrive Market), or to make our own customizable hand soap out of castille bar soap. 8. EAT YOGURT AND BACTERIA. Gut health is a pretty trendy topic right now, but for good reason! 80% of the immune system dwells there! The easy way our family has decided to strengthen our guts is by eating plain, whole yogurt or drinking home-brewed kombucha every day. Both are rich in probiotics and live, active cultures. Learn how to brew your own kombucha with our tutorials on the first and second ferments. 9. SOAK YOUR GRAINS, NUTS, AND SEEDS. We actually have really cut back on (and almost eliminated) grains in our home for many persuasive health reasons. In short, grains, nuts, and seeds contain mineral-blockers like phytic acid and lectins. Pre-soaking them in traditional methods (often for 12-24 hours with an acidic medium), sprouting, or fermenting them is a great way to help eliminate some of those mineral blockers and make the foods more digestible and nutritious. 10. USE REUSABLE (& NON-PLASTIC) SNACK AND FOOD CONTAINERS. If you follow my blog, you will probably know by now why I love mason jars for food prep and storage and that we have ditched ziplocs. Eliminating plastic in our kitchen has been a long-running goal and work in progress, based on potential toxin leakage and the harmful effects plastic can have on the environment both during manufacturing and disposal. We now use these silicone zip bags or these cloth snack bags when a mason jar won’t cut it. We also love these stainless steel snack cups and of course glass pyrex with lids for storing entire dishes. 11. LISTEN TO CLASSICAL MUSIC. It’s not secret that music can play a role in altering our mood, but did you know that it has been scientifically shown to have affects on our health too? Some known benefits from listening to classical music include lowered blood pressure, pain relief, better sleep, reduced stress and depression, and increased brain power. Interestingly enough, classical music played to crops is reported to make them grow larger, and according to THIS article music can even kill cancer cells! 12. TURN OFF SCREENS AN HOUR BEFORE BED (OR WEAR ORANGE GLASSES). Did you know that the blue light emitted from electronic screens keeps us awake and disturbs our circadian rhythm? The Pistachio Project has a great post about it HERE. Some simple and healthy counters for this might include turning off screens an hour before going to bed to help the body wind down, or wearing these super hip orange glasses at night to minimize the effects blue light has on our bodies. 13. GO TO BED 15 MINUTES EARLIER. Most of us are sleep deprived. I know I am! Going to bed earlier is a great idea that can make a huge difference! The problem is that we have trained our bodies to stay awake during certain times and developed lifestyle habits around that clock. So, do yourself a favor and don’t try to start going to bed earlier by a couple of hours tonight. Instead, go down just 15 minutes sooner (a realistic and, believe it or not, still effective segment). Then, as your body adjusts over time, move it up even more. 14. USE A GREENER DIAPERING METHOD. Pampers and Huggies have great marketing, but they aren’t so great on the environment or your baby’s skin. Check out my comparison of eco-friendly disposable diapers, consider cloth diapering, or read about how we have been going diaper-free with Darla. 15. STOP USING AIR FRESHENER. Synthetic fragrances can have detrimental effects on our health! Taken from one of my other posts, “More than 95% of synthetic fragrances are derived from petrochemicals, and over 75% of products with “fragrance” contain phthalates. These are associated with hormone disruption, cancer, diabetes, obesity, autism, ADHD… Let’s just say that knowing where our fragrances come from is a pretty big deal.” Air fresheners don’t even serve functional purpose beyond adding scent. There are so many other natural ways that we can do this instead! For a few examples, check out my recent post on DIY Reed Diffusers or consider diffusing essential oil blends (like this DIY spiced one) from a cool diffuser (I have this one and love it). 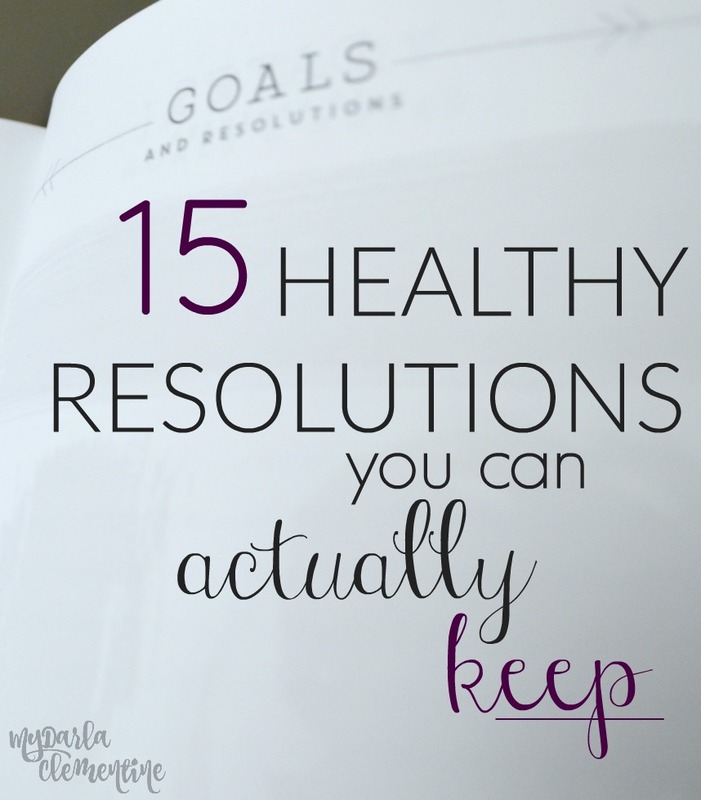 So, will you be making any resolutions this year? Are they realistic? Let me know in the comments below!